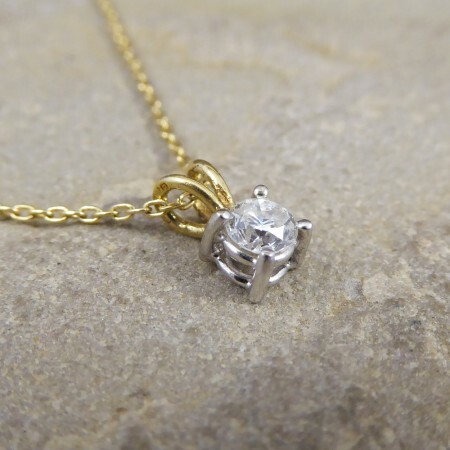 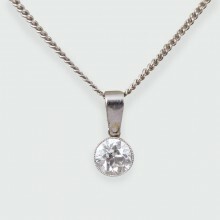 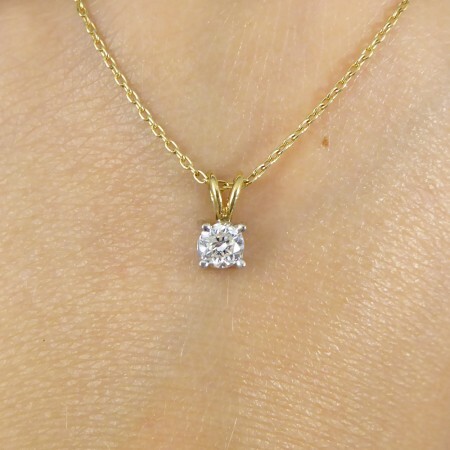 Such a gorgeous Diamond stud necklace, with one single stone weighing 0.25ct. 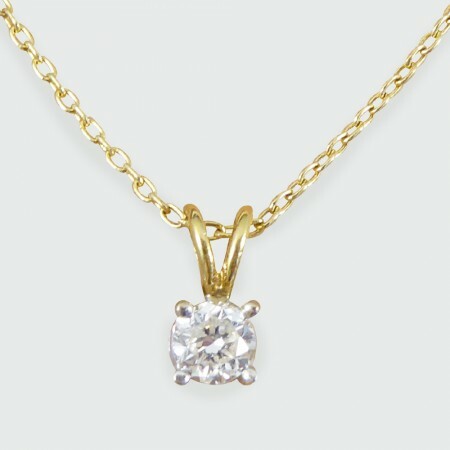 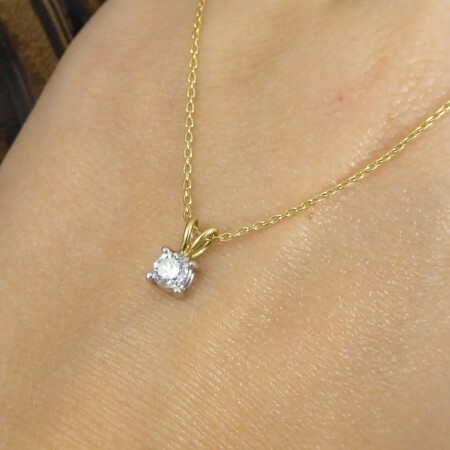 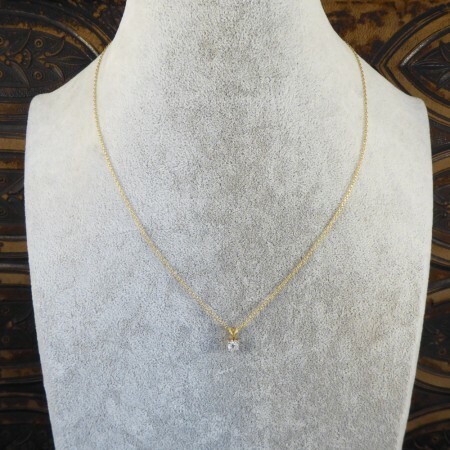 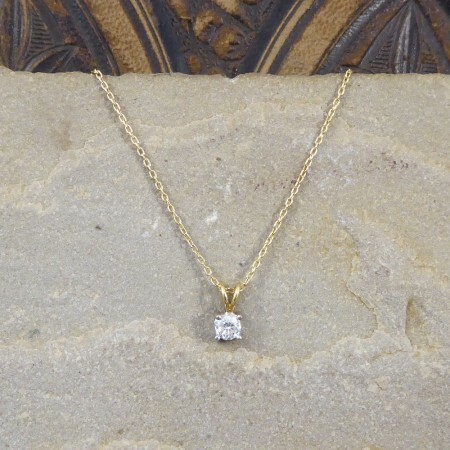 This clear and bright diamond sits in a four claw setting with bunny ear loops onto a 9ct Yellow Gold chain. 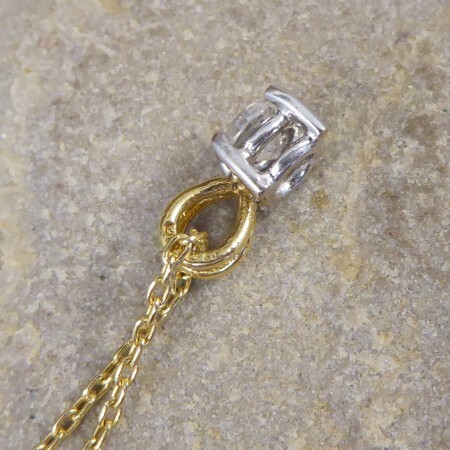 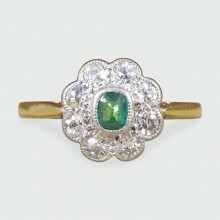 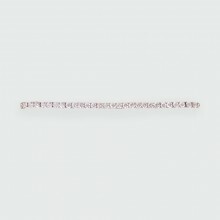 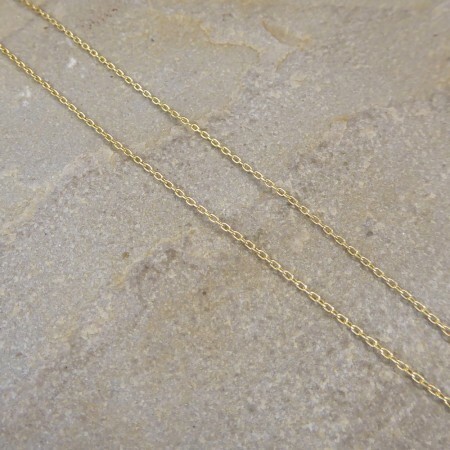 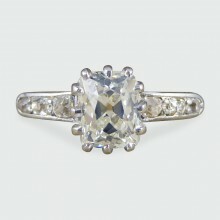 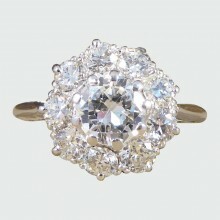 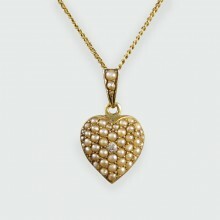 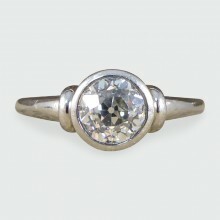 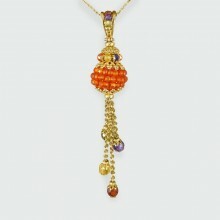 A simple and quality piece that will add sparkle to any outfit.